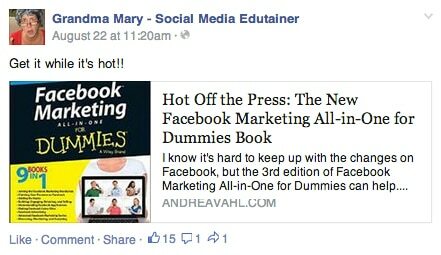 If you’re like most small-business owners, you’re eager to find new ways to use Facebook to market your business. And, since Facebook drives more referral traffic than any of the other social media big dogs (you know, Twitter, Pinterest, YouTube and the rest), you’re on the right track. Luckily, there are a few, fairly easy ways you can make your blog more Facebook friendly—and more likely to rack up those delicious Likes we all crave so much. One of the most basic ways to optimize your blog for the search engines and social media platforms like Facebook is to define key meta content in your posts. Meta content can be thought of as snippets of information (usually referred to as “meta tags”) that work behind the scenes (along with all of the other source code) to help search engines “understand” your post. 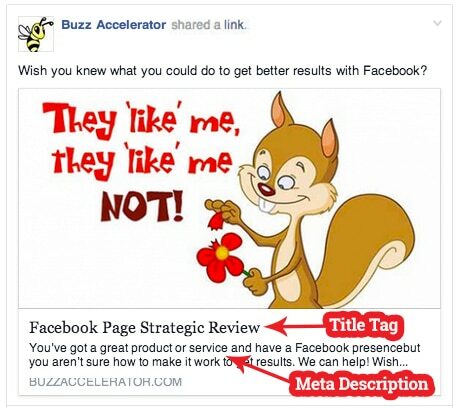 Not only does setting up meta information for the title tag and the description tag make it easier for search engines to find your blog posts, it can make it easier for people scanning through Facebook newsfeeds to pick your post out of the clutter. Another nice benefit is that if you set key meta information like that for the title and description tags, Facebook will automatically pull it out when you post your blog link to Facebook. Likewise if someone shares your post: Instead of having to rely on someone else’s fingers to type something in (which few people are motivated enough to do), your blog post will be set and ready for sharing because you will have already baked in that information with your meta tags. Likewise, imagine sharing an awesome infographic with a killer headline on Facebook, and then realizing that headline got cut off because the image wasn’t sized properly. Big bummer, right? Little things like that matter, and they can mean the difference between 2 shares and 200. So, what’s the right size for Facebook images? 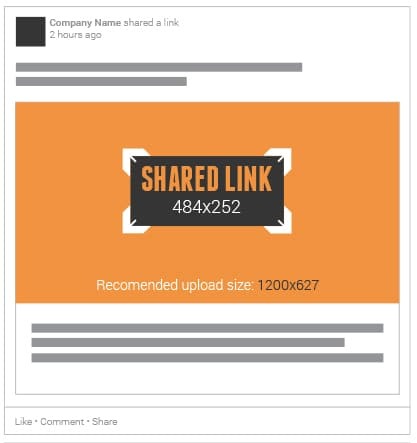 For your blog images to properly appear in the shared link, use a 1.91:1 ratio on your main blog post image. The resulting thumbnail image on Facebook will be 484 x 252 pixels (for desktop newsfeeds). You should know that if your blog post image isn’t big enough, then it will render as 154 x 154 or 90×90 px. This might be fine for some posts, but go bigger for more impact. Having catchy headlines is just as important as sizing images for Facebook. Catchy, well-crafted headlines can help you generate curiosity, good will, interest and excitement. And, the more you do that, the more likely you are to see your posts shared throughout your social networks. 1. Lead with the numbers. Interesting statistics, facts, and figures often resonate with readers, especially if they’re particularly relevant to your readership. For instance, what do you think people are more likely to read: What it Takes to Get a Raise or What it Takes to Get a $10,000 Raise? 2. Teach with how-to information. If they’re relevant to your readership, how-to articles are always a safe bet because nearly everyone is interested in ways to improve their lives. For instance, How to Keep Your Skin Flawless After 30 is more likely to generate interest than Skin Care After 30. 3. Lead with a list. People love lists. Short lists, long lists, it really doesn’t matter as long as your list is interesting, useful or fun. Examples: 10 Ways to Land Your Dream Job or 5 Ways to Tank Your Interview. If you have a WordPress blog, you’re probably already familiar with how to find and use plugins, but you may not realize that there are plenty of easy-to-use Facebook plugins that you can use to make sharing your blog posts easier for your readers. 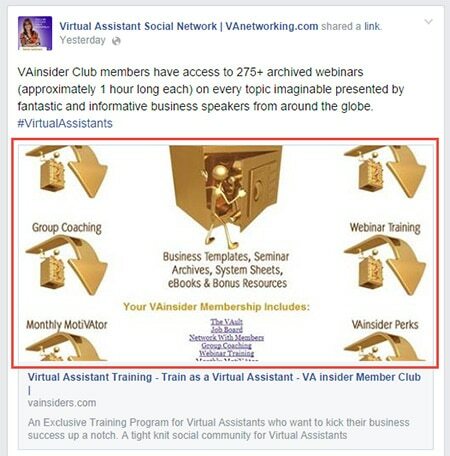 In fact, there are plugins for just about all of the major social media channels. 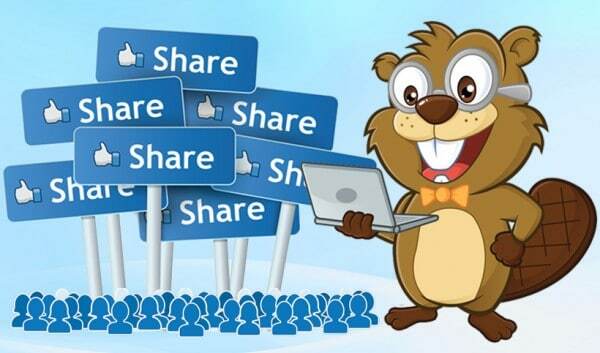 The nice thing about using Facebook sharing plugins is that not only do they make it easier for your readers to share your great content, it lets them see how many times your post has been shared. Believe it or not, post popularity can snowball unexpectedly, and the more people that have publically shared or Liked your content, the more likely other people will too. Whether you’re considering paid or free Facebook plugins, you’ll want to be sure that the plugin you choose matches the look, design and layout of your blog. Sure, you want it to stand out and get noticed, but in a good way, not in a “look what Ugly bumped into on its way to the Butterface Ball” sort of way. If you’re not sure which plugins to use, you can always choose from Facebook’s official plugins list. Or, there are (literally) hundreds of other social media plugins available from third-party developers. And, don’t forget to test placement and looks. You’d be surprised how moving share icons from the bottom of a blog post to the side of it can affect share and like rates. The more you experiment with different types of buttons and different phrasing for them, the more likely you are to find the winning combination that works best for your blog. Take these four simple steps and you’ll be well on your way to creating easy-to-share blog posts that your social network is more likely to read and share. Good luck! Buzz Accelerator is based in Southern California.